I need a logo based on this sketch. 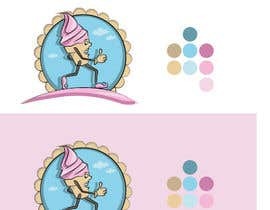 It's a humanized cup of frozen yogurt, that's running down a road with a thumb up. Thanks everyone. I will select the winner in a couple of days. hello! please check my new entry. feedback would be great. thank you! Please don\'t hesitate to request any changies if nedeed. Thank you! 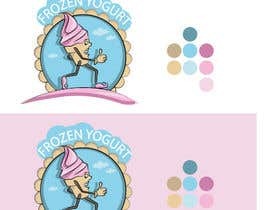 Also remove the cup on the guy\'s hand and make the frozen yogurt character giving a thumb up. Catoonish. I need the human replaced with a cup of frozen yogurt that has eyes and mouth. Alright, I\'m working on a great design for you here. I\'ll post it soon. Do you want it to look cartoonish or realistic?